Place the chicken in a large baking dish or resealable bag. In a small bowl, whisk together the soy sauce, chili sauce, fish sauce, and minced ginger until combined. Pour over the chicken and toss well to coat. Cover with plastic wrap or seal the bag and marinate for a minimum of 3 hours or overnight. When you're ready to cook the chicken, place it in a 6-quart slow cooker with the marinade and cook it on low for 5-6 hours or high for 3-4 hours. Preheat the broiler and line a rimmed baking sheet with foil. 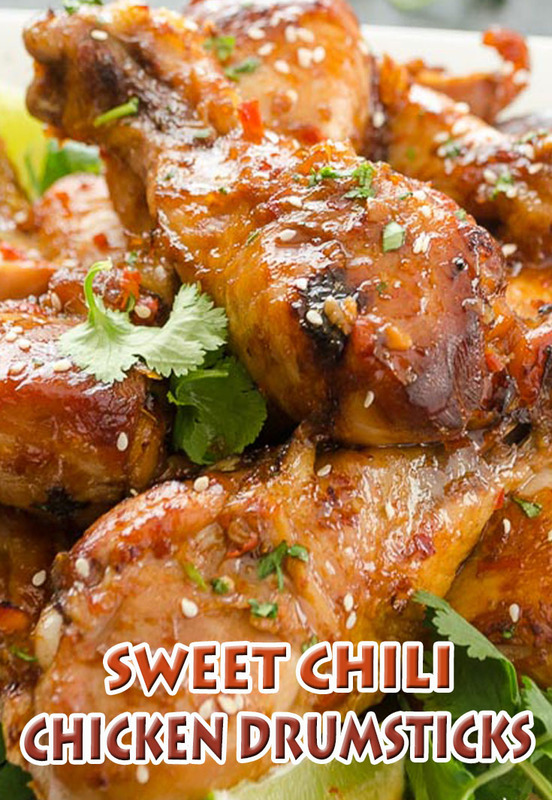 Place the drumsticks on the baking sheet and brush well with the marinade. Broil for 3 minutes per side, flipping once and coating with more sauce. Remove from the oven and place on a serving dish with cilantro, lime, and sesame seeds, if desired. Enjoy!